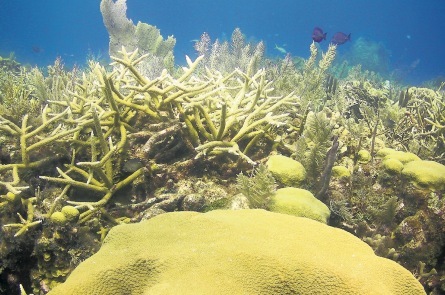 The US National Oceanic and Atmospheric Administration (NOAA) warned it may affect more than 38 per cent of the world’s reefs, and kill over 12,000 sq km of reefs. Some scientists are warning that spectacular reefs – with branching corals and fan corals – are unlikely to survive changes in temperature and pH by the end of this century. That’s if they are not killed first by other damaging local activities. Although reefs represent less than 0.1 per cent of the world’s ocean floor, they help support about a quarter of all marine species. The NOAA says the livelihoods of 500 million people and income worth over US$30 billion. By caribbeanclimate in News on October 19, 2015 .